Vera Santamaria is a writer and Co-Executive Producer on Orange Is The New Black (Netflix). Her other writing credits include BoJack Horseman (Netflix), Playing House (USA), Up All Night (NBC), Community (NBC) and Outsourced (NBC). 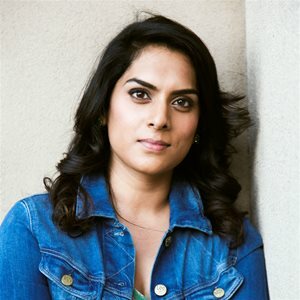 She was born and raised in Toronto and began her writing career in Canada, working on shows like Degrassi: The Next Generation (CTV), Little Mosque on the Prairie (CBC) as well as co-creating and executive producing 52 episodes of How To Be Indie (YTV), a kid’s comedy based on her life.